Pagico is powerful enough to be a GTD app, flexible enough to be your team’s collaboration solution, and smart enough to recognize what you’ve typed and when you need to do stuff. If you’re looking for a new way to manage everything you need to do on your desktop, it’s definitely worth giving a try. Read the full article on Zapier. As you know, the Zapier integration is one of the highlights of Pagico 7. Our good friend Matthew Guay at Zapier put together a short article on this, and it’s a wonderful read! We know that a lot of our users have started exploring the possibilities with Zapier. We’ll publish a number of help docs to help ease the learning curve. Expect to see those articles to pop up in the next few days. In the mean time, please feel free to contact us if you have any questions. 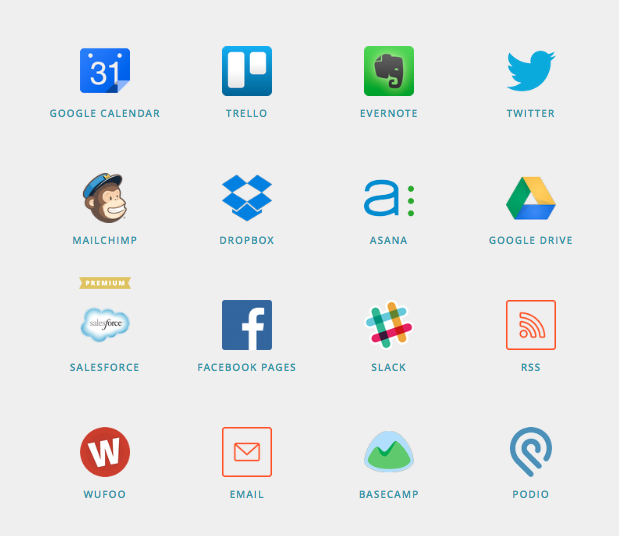 Preview #2: Pagico 7 works with Evernote, Google Cal, and THOUSANDS more! Do you use any of these apps? Would you like Pagico to work with any of them and exchange data? Well, Pagico 7 can easily connect to all of these apps. And thousands more!